COQ10 is a revolutionary supplement that uplifts the cells in the body by increasing energy production all over the body, and even strengthens our body systems in the process. CoQ10 is a vital enzyme found within every single cell of our body and helps convert food into energy. Hence, it is essential for all our vital organs. Coenzyme Q10 also has strong antioxidant properties thereby protecting our cells from free radicals. It boosts energy and provides speedy recovery from exercise. 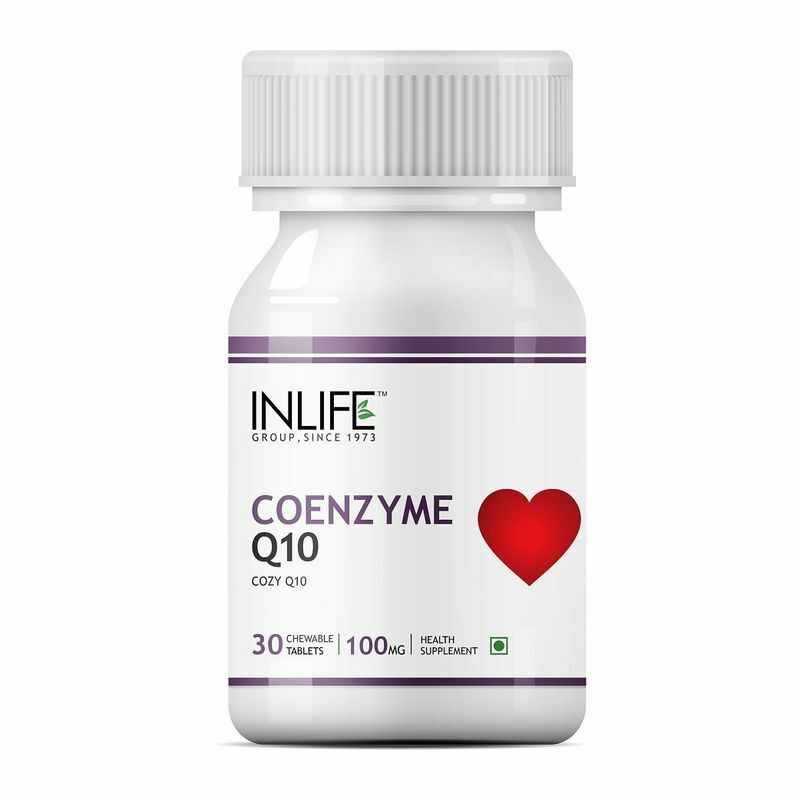 INLIFE Healthcare Coenzyme Q10 tablets are manufactured to high quality standards. Formulated as chewable tablets to eliminate the need to take water with tablet and to increase the compliance. Helps uplift the cells in the body by increasing energy production all over the body. Additional Information: INLIFE Healthcare, strives to excel human lives by bringing about high quality and scientifically validated nutritional health supplements. All the supplements are made with natural ingredients to provide improvement in wellness of life, health and fitness. Explore the entire range of Coenzyme Q10 available on Nykaa. Shop more Inlife products here.You can browse through the complete world of Inlife Coenzyme Q10 .